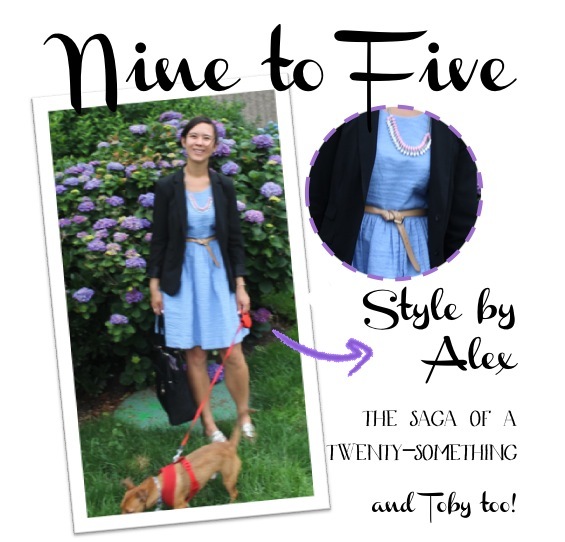 I am thrilled to be featuring our own Alex, the other half of Nine to Five. 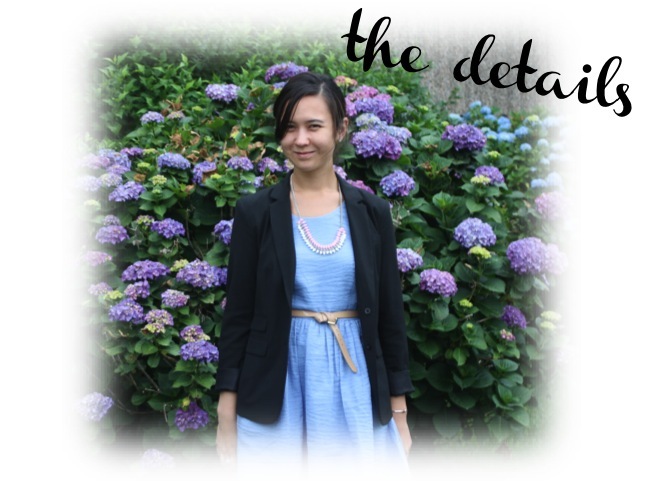 Its about time we shared what we wear to work! Alex is a Bostonian with some serious swank. She knots a belt like it's nobody's business and layers patterns and colors with ease. I stalk her instagram (@alexhubbard) for style ideas, especially on dreary rainy days, when she always manages to look sunny! Here is Alex balancing the summer heat in the city, and keeping thing buttoned up enough for the office. Love the way she mixes in a necklace from the weekend, and a contrasting colored belt! 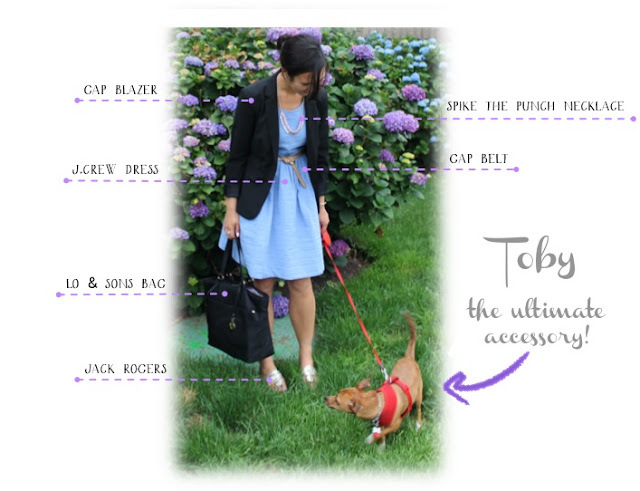 And of course she has the coolest accessory of all, Toby, the most happening dog in Boston. He even does doggy yoga! 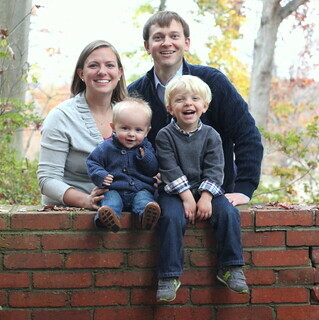 Learn more about Alex (and Toby) in her Q&A dish here. So what are you wearing on your Nine to Five? Has Alex inspired you to take more outfit posts? What about the other lovely ladies we've featured? We would L-O-V-E to see what you are rocking for your work week. Take your pictures, upload 'em to instagram/twitter #ninetofive and even tag us while your add it! I love it!! And I have all of the goodies to make that exact outfit! Different colors, but the same pieces! LOVE THAT. We are one in the same, Alex. :) except for I don't have a cute pup like you-- I only WISH I did. Me too! I almost forgot about the "wedding shower/sundress" + black blazer option this summer. I have been all tanks and skirts. Must keep this combo in mind if we ever dip below 120 degrees outside! While Toby may be the star, I like you more!